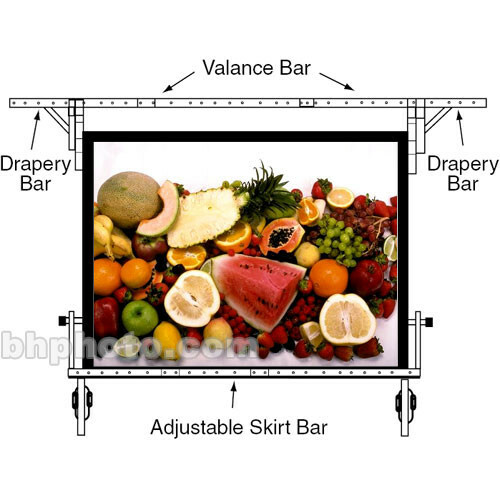 The Draper Skirt Bar for the Cinefold 68x68" Projection Screen allows for adjustment of screen size and aspect ratio by raising the skirt in 6" increments. Provides support for Draper Skirt and also shields light from entering projection area. Box Dimensions (LxWxH) 43.0 x 9.0 x 9.0"